Solar-cell developer Ampulse said it is looking to raise $10 million in its first round of financing, and morphing wind-blade developer FlexSys wants $8 million. The collapse of Lehman Brothers Holdings Inc. and the uncertain future for the troubled American International Group have shaken the financial markets, but that hasn't stopped some greentech companies from seeking funding. Solar-cell developer Ampulse and wind-energy equipment maker FlexSys were among those appealing for capital while presenting at the Cleantech Forum in Washington, D.C. on Tuesday. Ampulse is seeking $10 million in its first round of financing, the company's CEO Steven Hane told conference attendees. The Littleton, Colo.-based company is developing what Hane calls "film-silicon" solar cells. The company's technology coats a metal substrate with a thin-layer of silicon, which then crystallizes. Hane said the approach allows the company to create cells that combine silicon's efficiency at converting sunlight into electricity and thin-film's cheaper manufacturing costs. Hane said that Ampulse is targeting a 15 percent conversion rate for its solar cells. A conventional silicon solar cell in commercial production can reach 22 percent efficiency. Thin-film leader First Solar can produce cells, made with cadmium tellurium, that reach 10.6 percent efficiency, according to investment bank Piper Jaffray. Hane also said he has seen thin-film materials that replace traditional silicon wafers for well below a $1 per watt, which he claims Ampulse will eventually be able to beat, although he did not know exactly when. Ampulse still has a long way to go before commercializing its technology. Currently the company is working with the U.S. National Renewable Energy Laboratory and Oak Ridge National Laboratory on developing the cell's material composition and making other improvements. So far, the startup has raised $2 million in seed funding from Battelle Ventures, Innovation Valley Partners and the U.S. Department of Energy. The money will keep the company going until the middle of next year, said Hane, who would like to close the $10 million funding in July 2009. FlexSys, which is developing morphing wind-blade technology, hopes to raise $8 million. The company has designed what it calls an "adaptive trailing edge," said Sridhar Kota, president of FlexSys. The design is basically a built-in flap that is added to the end of a wind-turbine blade. With the help of sensors and a motor, the flap will alter its shape in response to changing wind conditions. The result, claims Kota, is at least a 15 percent increase in energy capture, regardless of the blade's size. The company's shape-changing technology helps lessen the impact that wind speed and wind direction can have on turbines. The ability to adapt to changing environmental conditions results in a 75 percent reduction of physical stress to a wind turbine, according to Kota. The ability to better withstand the environment means less structural damage overtime, therefore less repair, he said. FlexSys has been developing the technology for military aircrafts since its founding in 2001. Now the company wants to raise money and market its technology to the wind energy sector. The company plans to use the new financing to build and test FlexSys' first prototype on a 1.5-megawatt wind turbine. Once its morphing flap is ready for commercial production, FlexSys plans to sell it to U.S. and European wind turbine and blade manufacturers. 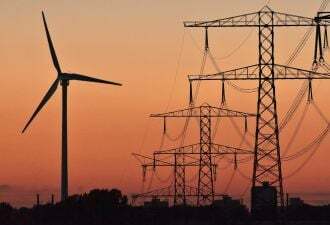 The company is also planning to license the technology to major turbine manufacturers in China, which has the largest potential market for wind power, according to the Gloabl wind Energy Council. Other companies, such as Knight and Carver, are also looking to boost their wind turbine performances with blade-altering technology. But Kota said his company's technology will produce better-performing turbines than Knight and Carver's. "They designed the blade in such a way that when the wind gust strikes, it automatically twists," said Kota. FlexSys's turbines, on the other hand, could handle a greater variety of wind conditions, he added.